The first interdisciplinary study of the Warburg Library network as an arena of intellectual transmission, transformation, and exchange, this volume reveals dynamics, agencies, and actors at play in the development of the Warburg Institute’s program and output, with a specific focus on the role of Raymond Klibansky (1905-2005) in the institute’s major ventures. Among these collective projects are the famous Saturn and Melancholy, which blends art history with philosophical and cultural history, and the Corpus Platonicum Medii Aevi series. 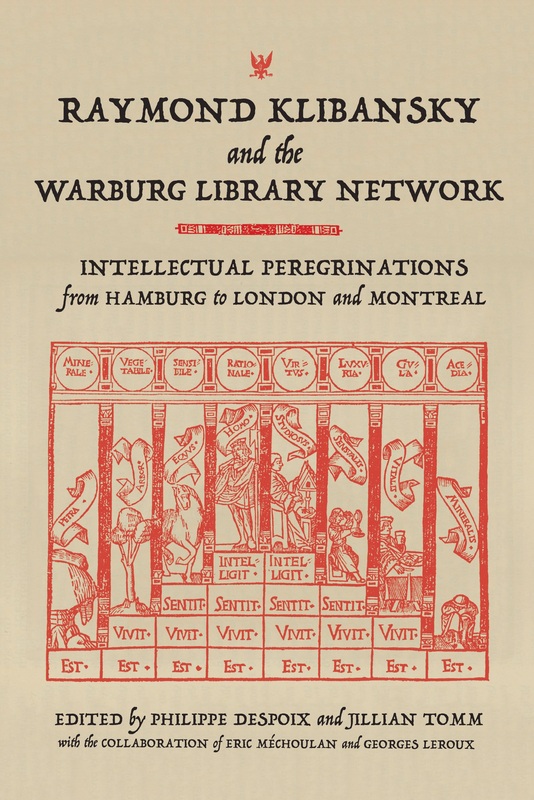 Consulting published and unpublished sources, the essays explore the history of the Warburg Library as a vital cultural institution and the personal and intellectual relationships of the researchers devoted to it. A presentation of the book will be made Philippe Despoix, Jillian Tomm and Georges Leroux, with a discussion moderated by Jean-François Vallée. A small selection of books & documents from McGill Library RBSC’s Raymond Klibansky Collection will be on display. Cheese and wine to follow. All are welcome.